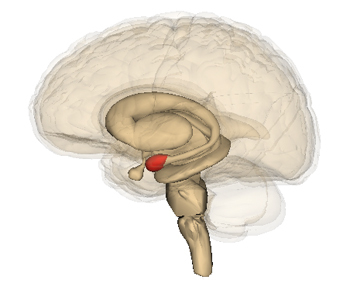 EMORY (US)—Draw a map of the brain when fear and anxiety are involved, and the amygdala—the brain’s almond-shaped center for panic and fight-or-flight responses—looms large. But the amygdala doesn’t do its job alone. Scientists at Emory University have recently built upon work from others, extending the fear map to part of the brain known as the prelimbic cortex. The results are published in the Proceedings of the National Academy of Sciences. Researchers led by Kerry Ressler, associate professor of psychiatry and behavioral sciences, found that mice lacking a critical growth factor in the prelimbic cortex have trouble remembering to fear electric shocks. The discovery could help improve diagnosis and treatment for anxiety disorders such as post-traumatic stress disorder and phobias. “This work is important for extending our understanding of how BDNF is important for neuronal plasticity, learning and memory,” Ressler says. “Together with our previous work, these data suggest that preventing neural plasticity in very precise, but critical brain regions, can have vastly different effects on emotional memory. The research was supported by the National Institutes of Health, the National Science Foundation, the National Alliance for Research on Schizophrenia and Depression, and the Burroughs Wellcome Fund.